There is lots of inspiration from the team today on the blog if you’d like to pop over. 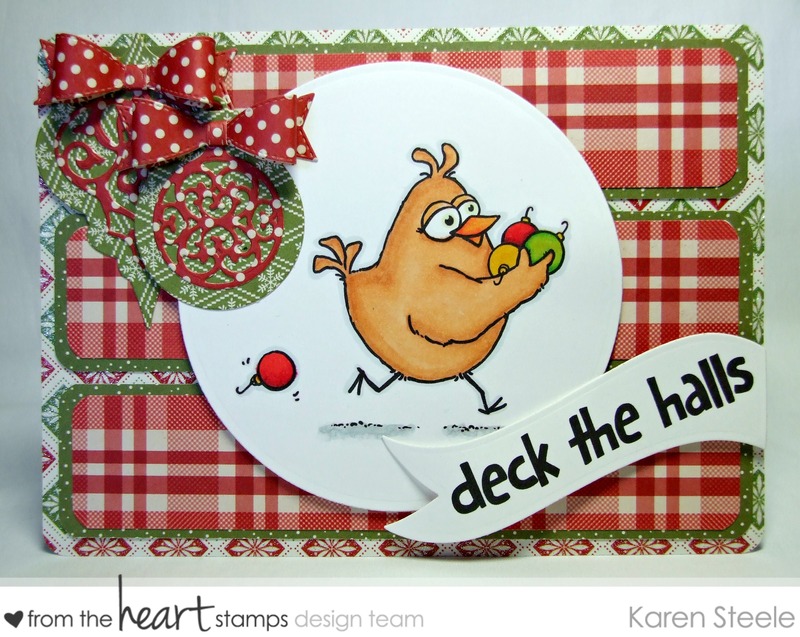 I have also followed our weekly I (heart) sketches with a tWiSt challenge for this card. The details and rules for both challenges are HERE and here’s the sketch below. I have also used ‘Christmas Wishes’ paper pad by First Edition Paper, Spellbinders circle, banner and ornament dies, Lil’inker bow die and Spectrum Noirs to colour. 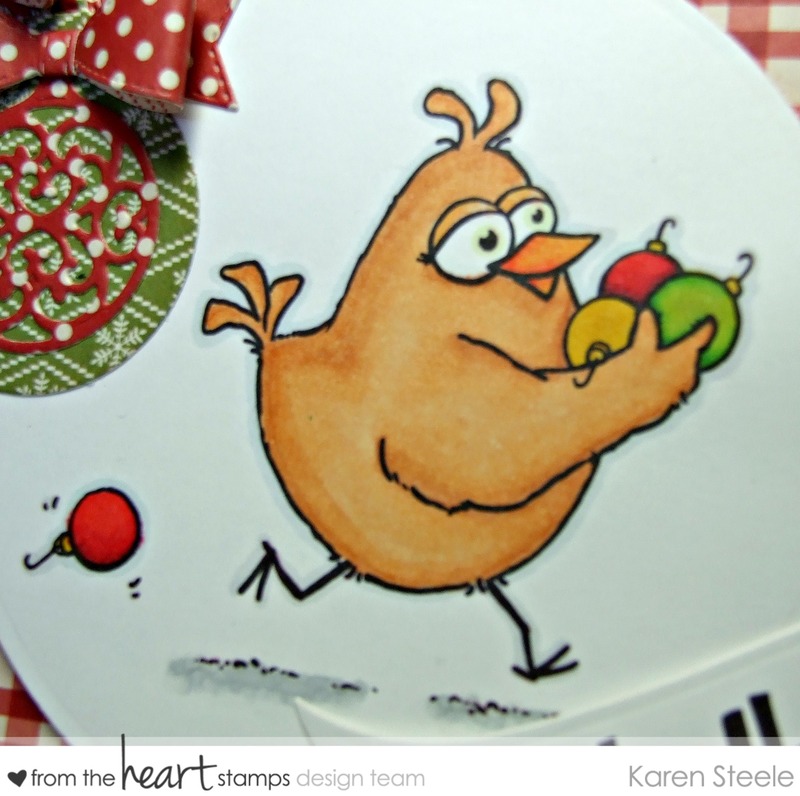 Beautiful card with the fun bird image holding the bulbs! Wonderful coloring and love the bright papers and pretty bows! I love it!! I love the papers and embellishments and I especially love those rounded corners! Love the papers, just feels so Christmasy! Darling! Lovely Christmas Card, Karen and i like the extra ornaments – great accents. Thanks for my morning smile 🙂 That image is too fun!